A lot can happen in two years of running a cider startup. There’s hard work, and plenty of it, learning curves, successes, mistakes … like any adventure in small business, the only real constant is change. 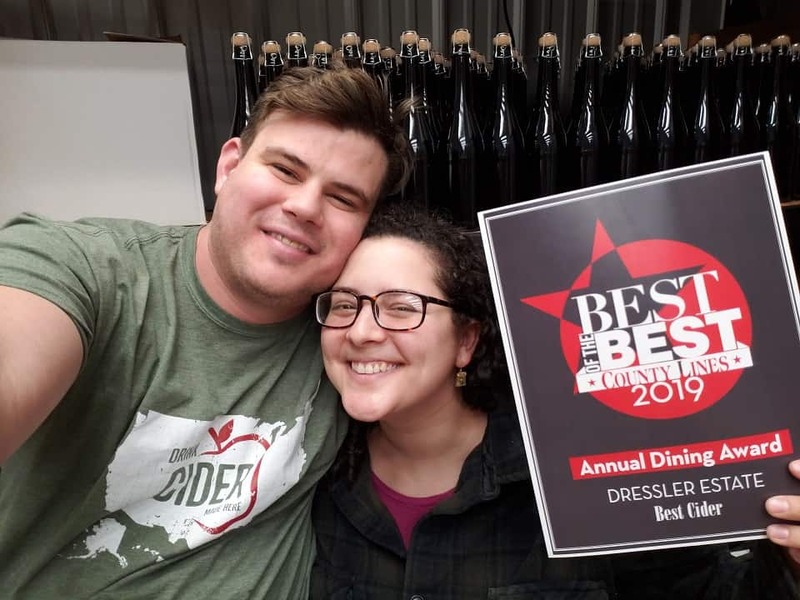 With that in mind, we wanted to check in with Olga and Brian Dressler, the co-founders of Dressler Estate, a craft cider company based in Downingtown, PA (a western suburb of Philadelphia). This husband-and-wife duo launched their company in early 2017 with a crowdfunding campaign, and released their first cider that summer. What’s been going on in the time since then? We got the chance to chat with these two to catch up on everything that’s been going on for them since their launch nearly two years ago. Cider Culture: Thanks for talking with us! So, what was your 2018 like? Olga Dressler: It’s been an interesting year, so now is a good time to catch up! Over the past year, we launched another product, King in Arms, an oak aged cider. We started experimenting with used barrels, different apples and different fermentation techniques. We’ve been playing around with the difference between natural carbonation and traditional methods. Our Modern Sparkling is in-bottle fermentation, done in the more pet-nat style, and we’re looking to do some disgorging and take that to the next level. We want to learn both of these techniques. We’re dipping our toe into blending, as well. We have access to small amounts of traditional English varieties of apples, which are higher in tannins. We’re experimenting with adding modern fruit to see how that changes the final flavor profile. All three of our ciders have been based off the same apples from Kauffman’s Fruit Farm and we want to take that in different directions. We’ve also been making more connections, building partnerships and really starting to get a feel for the marketplace in general, and what types of products we should be making in the future. What are some of your biggest takeaways from your time as cider makers, so far? Brian Dressler: I’d say it’s made me aware of how much work we have left to do in Pennsylvania. We have a lot of craft cider converts, but I think there’s still a lot more evangelism we have to do. But that’s good; we have room to talk to people and give them information. Olga: Our first year in business taught us that it was exciting to explore an idea. We don’t know a lot of small business owners, and we didn’t have anyone acting as a cheerleader. So, we were sort of going in the dark and that taught us a lot of lessons and gave us a lot of good experiences. There are many challenges and risks, and it’s almost surreal to see our work get us to this point and the amount of relationships that we’ve made. Has being on the producer side of things changed how you perceive the industry? Olga: Yeah … starting a cidery helped me to realize that a lot of new customers still don’t really know what cider is. 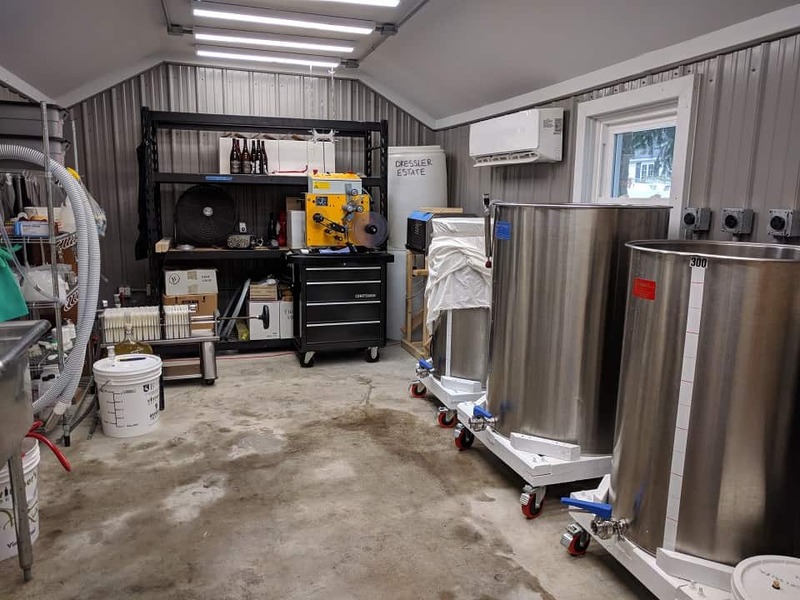 At this point, being in business for just shy of two years, I think that there are still so many people that have specific ideas of what they think cider is, and they’re surprised by our products. That’s an opportunity for us to talk to them about how there’s so much out there. From the business person’s stand point, there’s still this huge opportunity to bring the different products into places where people can find them. I think that’s the biggest takeaway for me at this point. It seems like your ciders are getting out there into the world a bit more. How have you been handling the wholesale side of things? Brian: Well, it’s tough to get the attention of the people who make buying decisions in bars and restaurants. Of the small percentage you can get in touch with, an even smaller percentage brings you in. But I’ve found that more natural encounters work best, versus cold calls. Sometimes people approach us, if they’ve seen us out in the world. Doing sales this way takes more patience, and is scarier, waiting for people to come to you. But it seems to work out much better that way. Olga: It’s taking advantage of opportunities when they present themselves. If we’re at an event or are introduced to somebody or hear of a place that might be a good fit, following up is a big piece. We really want to find people and places that match our philosophy. We’re counting on them to know how to talk about it to their customers, since our product is so different. Good bartenders tend to know their regulars, and can suggest our ciders to people who they already know might like it. 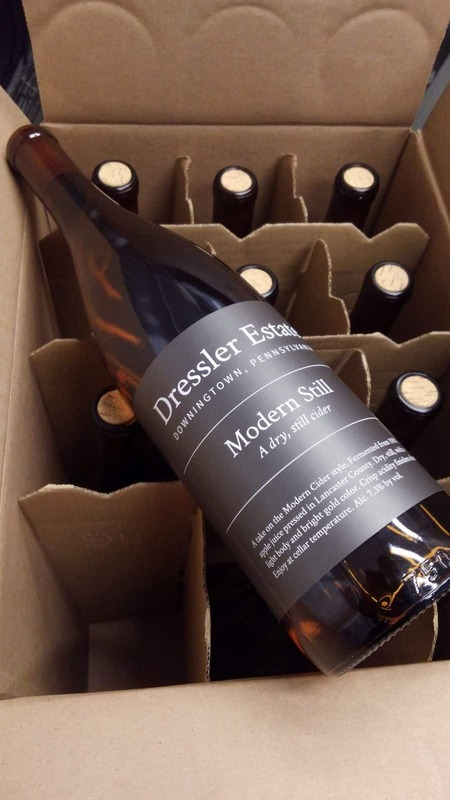 What are some of the bars and restaurants that sell Dressler Estate that you’re particularly excited about? Brian: Some places that we’re excited about are the restaurant group that owns Cinder, Brü, etc. in Philly. They are huge cider advocates and doing some cool things. I can say the same thing about Amy Hartranft at Prohibition Taproom [one of the founders of Philly Cider Week] and John Medlinksy at Martha. You go in there and it’s elevated fare but relaxed and approachable. Olga: They’re paving the way for the rest of the Philly scene. Another place I was excited to get into was the 320 Markets. Their natural wine program helped get them on the map and now they’re championing cider, too. That’s such a good partnership for us. We also love Bottle Room and East Branch Brewing in Downingtown, and so excited about how passionate they are. They opened a huge door for us by carrying our products when we were first getting started. 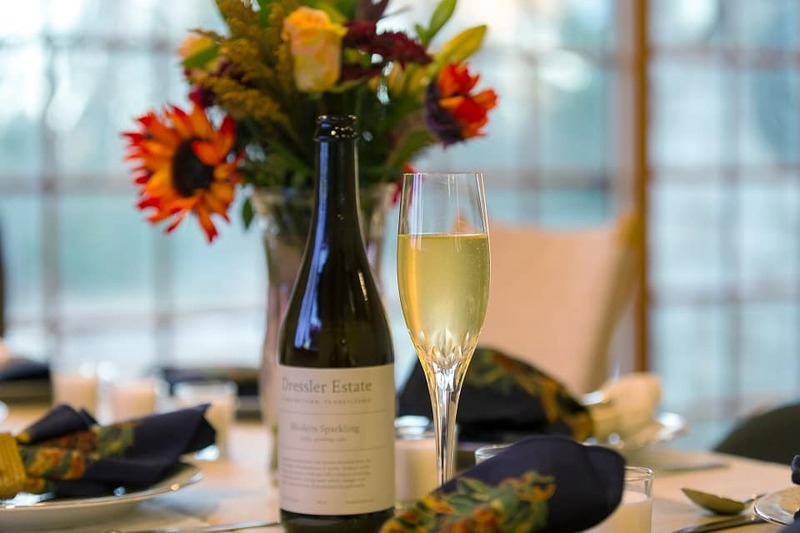 Do you have any longer-term plans you can share with us for Dressler Estate’s growth? Olga: Longer term, we definitely have plans to get land — that is our 10-year goal. We do have a few trees in our backyard that a friend who’s a farmer gifted to us, but they haven’t yielded much fruit, and with the bad seasons it hasn’t been great. We do have a relationship with a private orchardist that we’re looking to for small batches of apples. He planted his trees a year or two ago, so either this year or next he should start getting some significant fruit. One of the big goals is introducing kegs to more accounts and across the board. We have been doing kegs but we were using key kegs and we’re switching to steel. We’ve also had people order our cider for weddings — Modern Sparkling is a really nice alternative to Champagne for special occasions — and that’s something we’re going to try to do more of this year. Ultimately, we want our cidery to be a self-sustaining, our family-run operation. 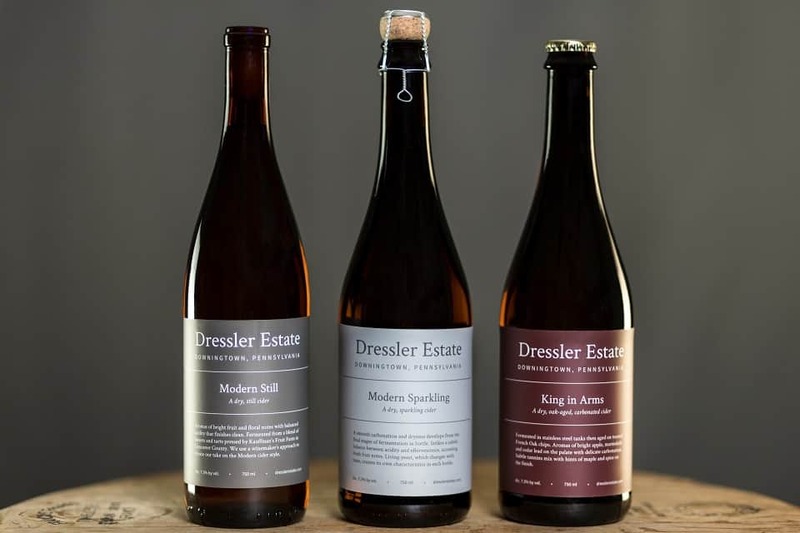 We want to continue to be passionate about cider making and have Dressler Estate be a modest means to support ourselves. Keep up with Dressler Estate via its Facebook and Instagram. For info on where to find its ciders, check out the handy cider finder tool on its website.